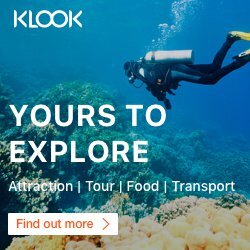 Once you choose the travel topic which most appeals to you, you can then decide on your travel dates and book your trip — but while airfares as low as 89.00 euro may potentially be a good deal, there are notable limitations which you should read carefully if you even considering taking advantage of this offer. All flight itineraries must originate in either Frankfurt or Munich — and with the plethora of ultra-low-cost airlines currently plying flights throughout Europe, a “positioning flight” to get you to either of those airports may or may not be worth the cost or the trouble. Ensure that you fully and completely research the minimum time and cost necessary for taking advantage of this offer if you are not already based in Frankfurt or Munich. If you suddenly contract a case of “buyer’s remorse” within 24 hours after purchasing your ticket, you are out of luck: the usual grace period of 24 hours does not apply with flights purchased through Lufthansa Surprise — meaning that bookings cannot be changed; and no refunds can be given at any time once the ticket is purchased. You can book your ticket anywhere between one day to 42 days in advance of the scheduled departure of the flight — but you must stay at your destination for a minimum of 18 hours for one overnight; and 36 hours for two overnights. With regards to baggage, the price of your ticket includes one bag — which you can carry aboard the airplane — up to 8 kilograms or 18 pounds per person at no extra cost to you. However, if you would like to check a suitcase up to 23 kilograms or 50 pounds, you will be given a chance to add it after confirmation of your surprise itinerary and save 50 percent compared to the payment at the airport: 30.00 euro per bag for outbound and inbound flights. Keep in mind that not all products and services are included with Lufthansa Surprise airfares. If there are any extras which you would like to purchase in addition to the cost of your ticket, you can easily and inexpensively add ancillary flight services to your booking directly after your booking confirmation. While this method of narrowing down possible destinations and flight schedules for the dates which you choose is not foolproof, it can potentially be helpful towards finalizing your decision on whether or not to take advantage of this deal. There is a certain element of excitement with being surprised as to which destinations you will ultimately embark upon; but if the surprise turns out to be one which is of little interest to you, it will already be too late to do something about it. To best take advantage of this offer and to better ensure that you will indeed pay the lowest airfare possible, your schedule must be as flexible as possible. In other words, do not expect success during the Christmas holiday or other busy travel times of the year. The good news is that your Miles & More account will be credited with the appropriate number of frequent flier loyalty program miles which you will earn for the flight. Not all promotions allow for the earning of frequent flier loyalty program miles. If you are based in either Frankfurt or Munich, you might be able to secure flights to a destination which you can select for less cost; but then there will most likely be connecting flights instead of nonstop flights — so take great care in ensuring that this offer will really be worth it to you before you decide to take advantage of it.